This is from Busch Gardens Tampa, taken in early February 2016. We’d just had an early afternoon rain that left small puddles around the park. 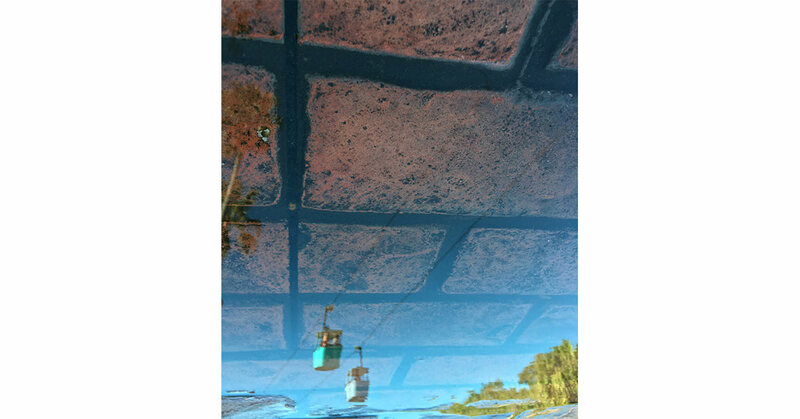 It’s a prime example of why I love to use puddles for my reflections, when the textures underneath the water naturally superimpose over the reflected image in a single shot, creating some very surreal scenes. At this time, I was pushing the boundaries of my photography and producing more varied combinations of textures and scenery. This image represents some of my best execution and composition of that sort of work.